We took the boys to see Incredibles 2 on the day it premiered because it was Ethan’s fourth birthday. 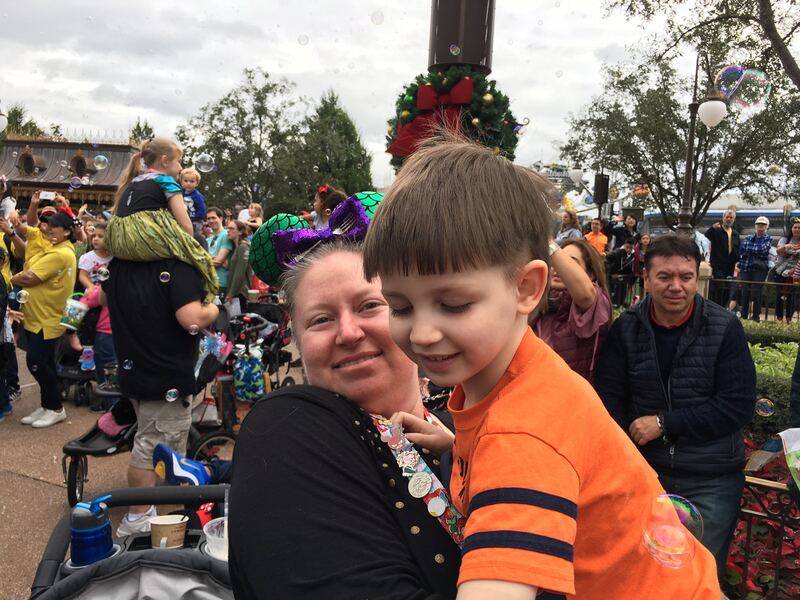 It was his first movie to see in a theater and, though he did ask a few questions a little loudly, he still sat on my lap and watched the whole thing without running around. 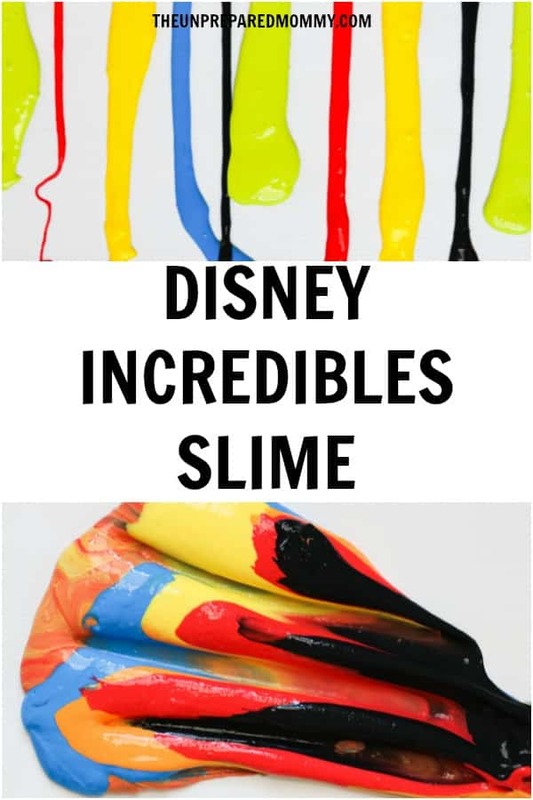 I thought, to honor this achievement, we should make some Disney Incredibles slime. 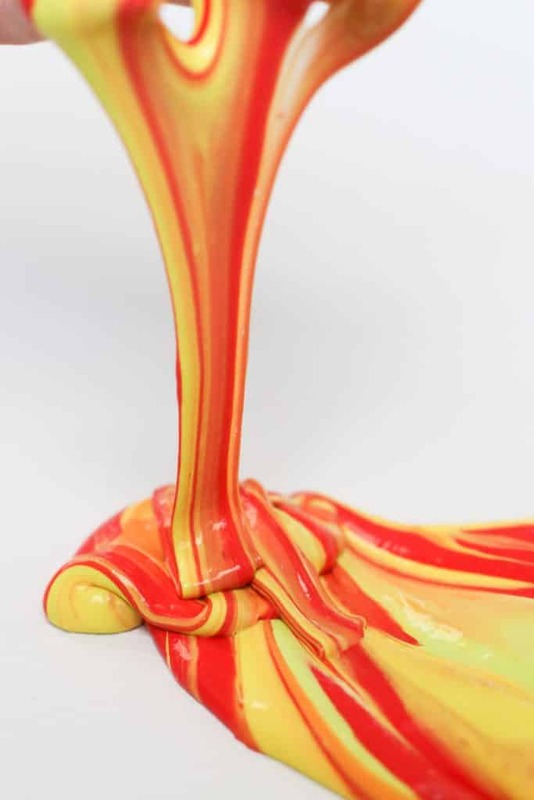 I used the liquid starch recipe from Sarah McClelland’s Ultimate Slime Book. This book is awesome. 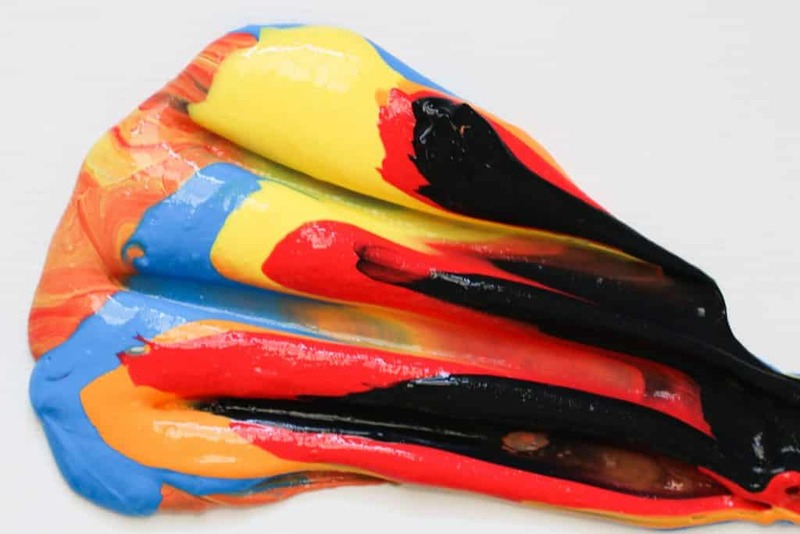 It has several different slime recipes and so many pictures! 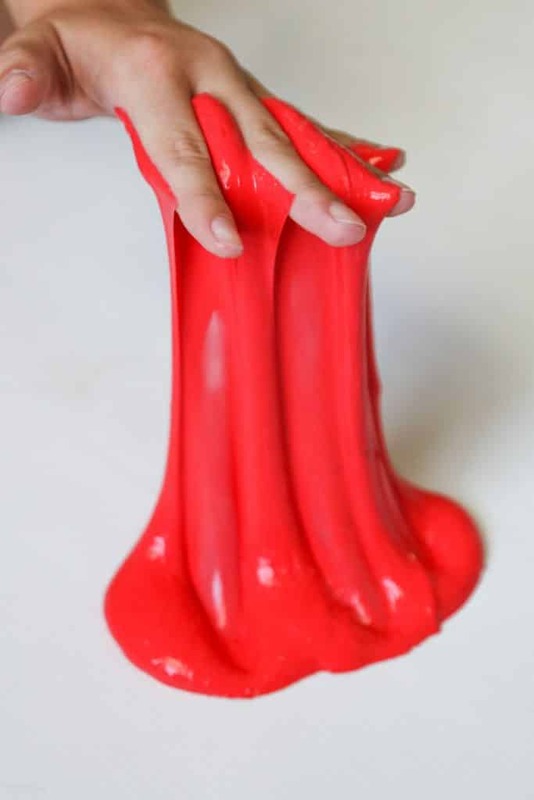 I’m definitely glad to have found her book for this Disney Incredibles slime. 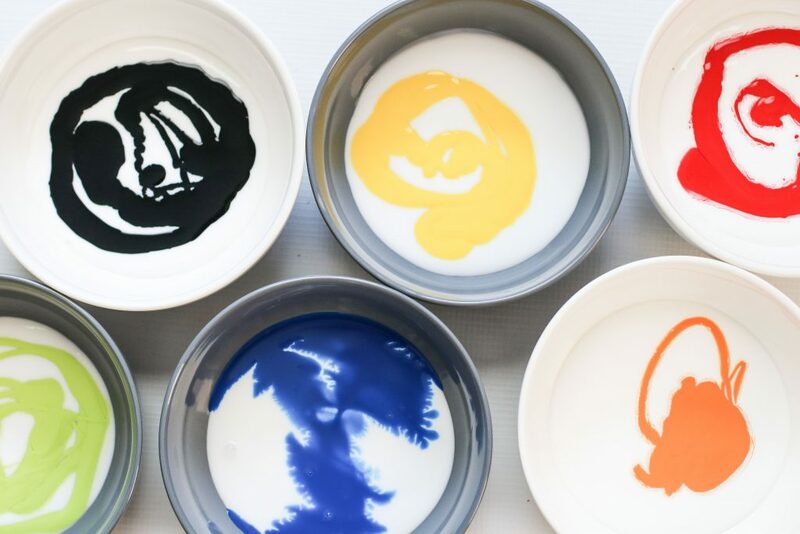 We are going to make five different colors, so you first need to pour 4 oz (1/2 cup) of white glue, per bowl, into 5 bowls. 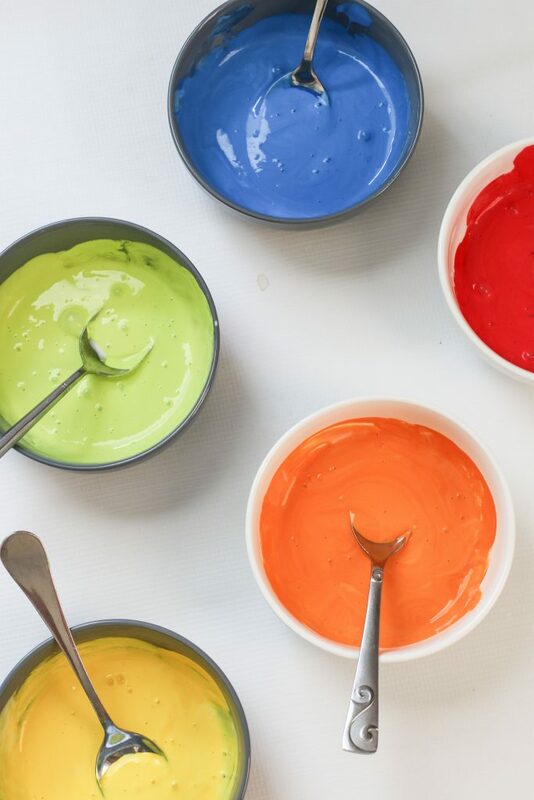 Add a squirt of each color of paint and stir it in completely. Then add in 2 oz (1/4 cup) of liquid starch. Stir it with a spoon until it becomes to difficult to stir. It is going to be pretty stringy at this point. 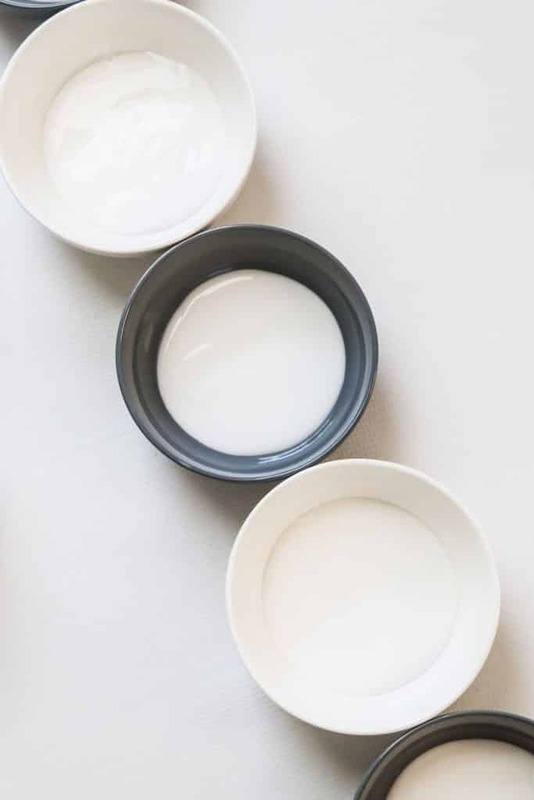 Take it out of the bowl and knead it with your hands until it is no longer a stringy mess. I’d love to see your creations in the comments!